Change things up with these side-trips from Sedona: Jerome Artists Cooperative Gallery (in Jerome), Camp Verde (Montezuma Castle National Monument & Out of Africa Wildlife Park) and Arizona Copper Art Museum (in Clarkdale). 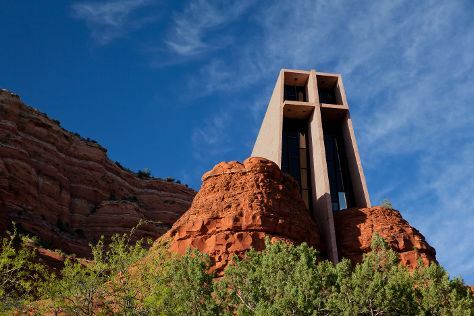 There's still lots to do: explore the striking landscape at Cathedral Rock, cruise along Red Rock Scenic Byway (SR 179), tour the pleasant surroundings at Airport Mesa, and take in the spiritual surroundings of Chapel of the Holy Cross. To find photos, more things to do, reviews, and more tourist information, read our Sedona trip builder. Kelowna, Canada to Sedona is an approximately 9-hour flight. You can also drive. You'll lose 1 hour traveling from Kelowna to Sedona due to the time zone difference. While traveling from Kelowna, expect much hotter days and somewhat warmer nights in Sedona, ranging from highs of 29°C to lows of 15°C. On the 29th (Sun), wrap the sightseeing up by early afternoon so you can drive to Tucson. Venture out of the city with trips to Rooster Cogburn Ostrich Ranch (in Picacho) and Mt. Lemmon SkyCenter Observatory (in Mount Lemmon). Pack the 4th (Sat) with family-friendly diversions at Old Tucson. 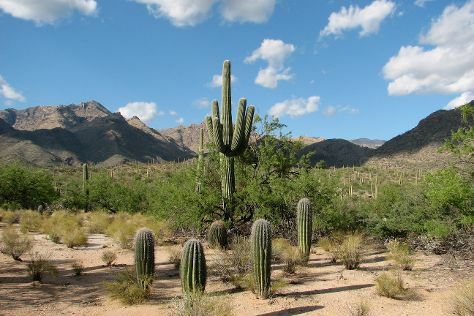 There's still lots to do: learn more about the world around you at Arizona-Sonora Desert Museum, meet the residents at Reid Park Zoo, admire the majestic nature at Catalina State Park, and explore the stunning scenery at Sabino Canyon. To see maps, where to stay, reviews, and more tourist information, use the Tucson travel planner. You can drive from Sedona to Tucson in 4 hours. Other options are to do a combination of taxi, flight, and shuttle; or do a combination of bus and shuttle. When traveling from Sedona in October, plan for a bit warmer days and about the same nights in Tucson: temperatures range from 34°C by day to 17°C at night. Finish your sightseeing early on the 7th (Tue) so you can drive to Tombstone. Venture out of the city with trips to Ramsey Canyon Preserve (in Hereford), Brown's Canyon Ranch (in Sierra Vista) and Chiricahua National Monument (in Willcox). There's much more to do: Head underground at Kartchner Caverns State Park, don't miss a visit to Bird Cage Theatre, examine the collection at Rose Tree Museum and Books, and contemplate the long history of Allen Street. To see ratings, reviews, photos, and other tourist information, read our Tombstone sightseeing planner. You can drive from Tucson to Tombstone in 1.5 hours. Other options are to do a combination of bus and taxi; or do a combination of train and taxi. Traveling from Tucson in November, you will find days in Tombstone are little chillier (23°C), and nights are about the same (8°C). Wrap up your sightseeing on the 12th (Sun) to allow time to drive to Williams. Venture out of the city with trips to Flagstaff (Meteor Crater, Walnut Canyon National Monument, & more). 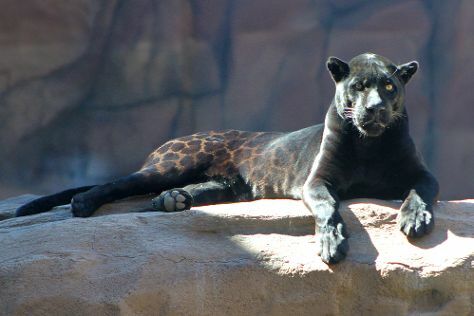 The adventure continues: look for all kinds of wild species at Bearizona Wildlife Park, tee off at Elephant Rocks at Williams, and indulge your thirst for a good beer at Grand Canyon Brewing Company. For maps, reviews, and other tourist information, use the Williams holiday planner. Drive from Tombstone to Williams in 6 hours. Alternatively, you can do a combination of taxi, bus, and train. Plan for slightly colder temperatures traveling from Tombstone in November, with highs in Williams at 14°C and lows at -2°C. Wrap up your sightseeing on the 18th (Sat) to allow time to drive to Grand Canyon National Park. On the 20th (Mon), hike the day away at Bright Angel Trail. Spend the 2nd (Sat) wandering through the wild on a nature and wildlife tour. There's much more to do: take in breathtaking views at Grand Canyon South Rim, get great views at Powell Point, stroll through South Kaibab Trail, and trek along Rim Trail. To find photos, ratings, more things to do, and other tourist information, go to the Grand Canyon National Park trip itinerary planner. Getting from Williams to Grand Canyon National Park by car takes about 1.5 hours. Traveling from Williams in November, you can expect nighttime temperatures to be little chillier in Grand Canyon National Park, with lows of -7°C. Finish your sightseeing early on the 3rd (Sun) to allow enough time to travel to Page. Spend the 6th (Wed) behind the viewfinder with an inspiring photography tour. Spend the 9th (Sat) exploring nature at Glen Canyon National Recreation Area. 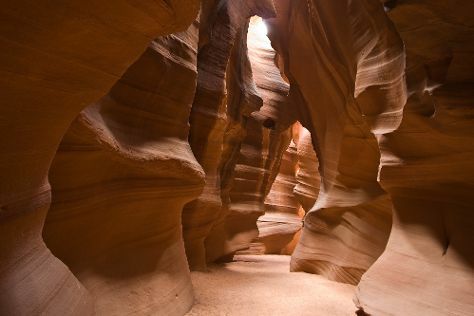 The adventure continues: trek along Horseshoe Bend, take in breathtaking views at Antelope Canyon, explore the activities along Lake Powell, and see human ingenuity at work at Glen Canyon Dam. To see reviews, where to stay, more things to do, and tourist information, you can read our Page tour planner. Getting from Grand Canyon National Park to Page by combination of taxi and flight takes about 1.5 hours. Other options: drive. Traveling from Grand Canyon National Park in December, you can expect nighttime temperatures to be a bit warmer in Page, with lows of -1°C. Finish your sightseeing early on the 9th (Sat) to allow enough time to travel to Phoenix. Phoenix is the capital and most populous city of the U.S. You'll find plenty of places to visit near Phoenix: Scottsdale (Taliesin West & McDowell Sonoran Preserve) and Boyce Thompson Arboretum (in Superior). On the 17th (Sun), do a day of sightseeing from above with a helicopter tour. Next up on the itinerary: examine the collection at Musical Instrument Museum, trot along with a tour on horseback, take an in-depth tour of Heard Museum, and take a stroll through Old Town Scottsdale. To see ratings, reviews, other places to visit, and tourist information, refer to the Phoenix trip itinerary builder. Traveling by flight from Page to Phoenix takes 1.5 hours. Alternatively, you can drive; or take a bus. Expect a bit warmer temperatures when traveling from Page in December; daily highs in Phoenix reach 22°C and lows reach 8°C. Wrap up your sightseeing on the 18th (Mon) to allow time to travel back home.